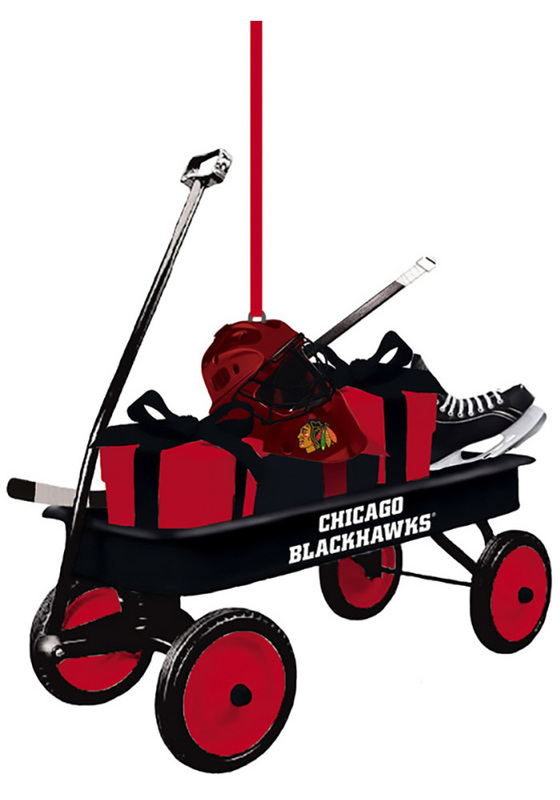 Deck the halls in Blackhawks cheer during the holidays with this Chicago Blackhawks Team Gift Wagon Ornament. This Ornament features a wagon filled with team themed gifts and sports equipment. I ordered several different ornaments for my grandson during your sale, and am so pleased. Got the wagon at half the price of other stores. Arrived timely and everything was well packaged. Love your store!